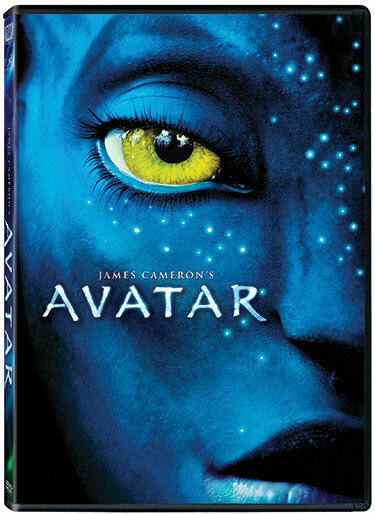 Released on April 22nd, Earth Day, the Avatar DVD is bare bones without special features or extras. For those you’ll have to wait until November for the ‘Ultimate Edition’. If you happened to not have seen this amazing flick, I encourage you to rent it and wait on buying anything until November. Still, a review is a review and what follows are my two cents thrown into the planet’s worth of words already floating around out there on the subject. In short, while binding multiple threads into a cohesive statement, Avatar’s main point is that only by melding technology and nature into a balanced partnership can humans stop the despoliation of the natural world. A classic dichotomy is set up in the narrative between the invading humans, their strip mining attitude/technology and the fantastical natural world of Pandora and its indigenous native species, personified in the humanoid Na’Vi natives; pitting evil greed against righteous spirituality. Desire for dominance hangs about the human invaders like a heavy cloak, while the spiritually rich Na’Vi live in harmony with the world around them. This accord is not an abstract either, as the natives are able to biologically interface with creatures of their world, as well as with specialized trees and literally upload/download memories. The violent collision of technology and nature is the stage that Avatar sets for the main protagonist, Jake Sully, a human marine who has lost the use of his legs due to a spinal injury. Sully, via the combination of Human and Na’Vi DNA and neural science-fiction, is able to leave his body and enter the grown body of a native. Sully is indeed the blending of technology and nature that eventually brings balance back to Pandora. With an outstanding performance by Stephan Lang as the evil Col. Quaritch and eye-popping visuals and colors make this a great movie to watch again and again. James Cameron comes home to Sci-Fi and knocks it out the park.